We take sixty, super-fast pictures of you and your friends being fabulous. 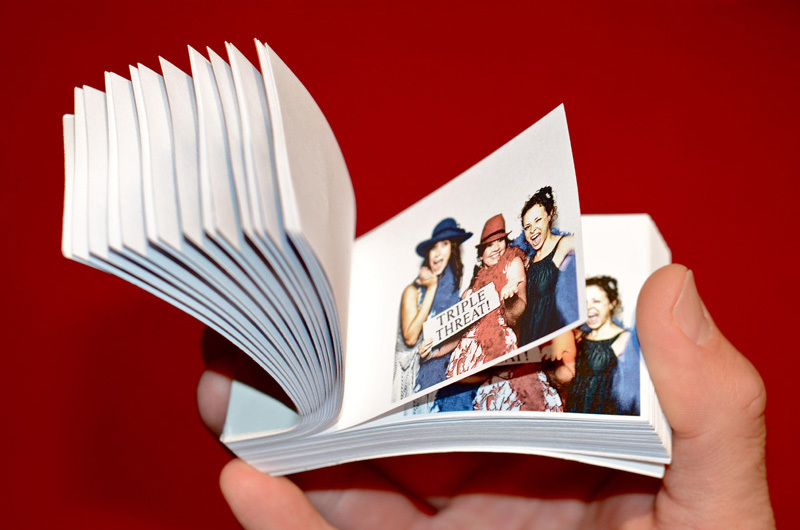 Then we quickly print and assemble a cool, take-home video (no batteries required) in a flipbook ready for you in 90 seconds. That’s an average of 50 flipbooks/hour! We bring the props and will customize the flipbook covers according to the theme of your event.